Publisher: George Brazillier, 1964. First edition, second printing. One month after the first printing. Condition: Hardcover, cloth, with dust jacket. In very good condition. Immaculate interior, clean, tightly bound. Dust jacket has some edgewear but also very good. 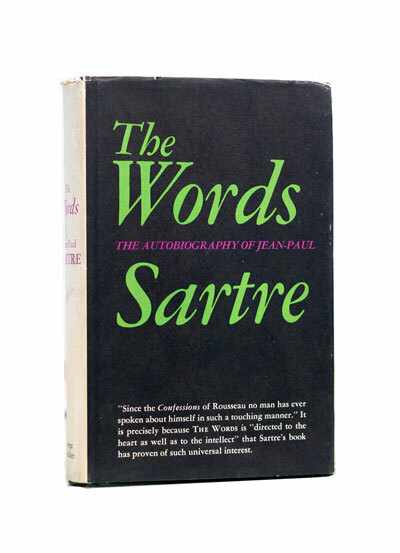 The Words (French: Les Mots) is Jean-Paul Sartre’s 1963 autobiography. The first act presents in chronological order the ‘prehistory’ of the child by giving his family origin. 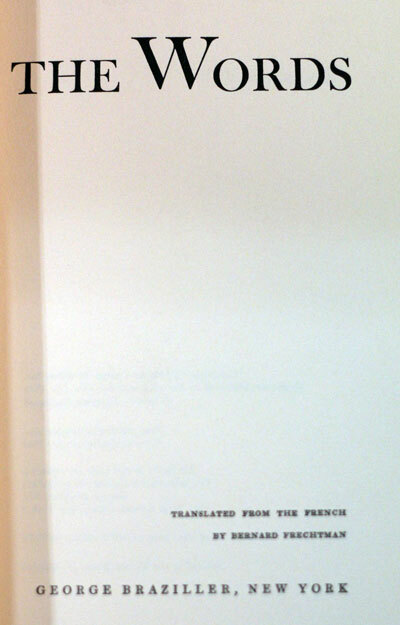 The fifth act relates Sartre’s delusion, which he considers the source of his dynamism, and contains the announcement of a second book which he did not complete before his death.